All Blackbutt Agricultural Society Members & their families are not required to pay entry. The Blackbutt Agricultural Show Society would like to thank-you for your patronage. We would also like to thank our dedicated members, supporters, and sponsors who make the Blackbutt Show possible. 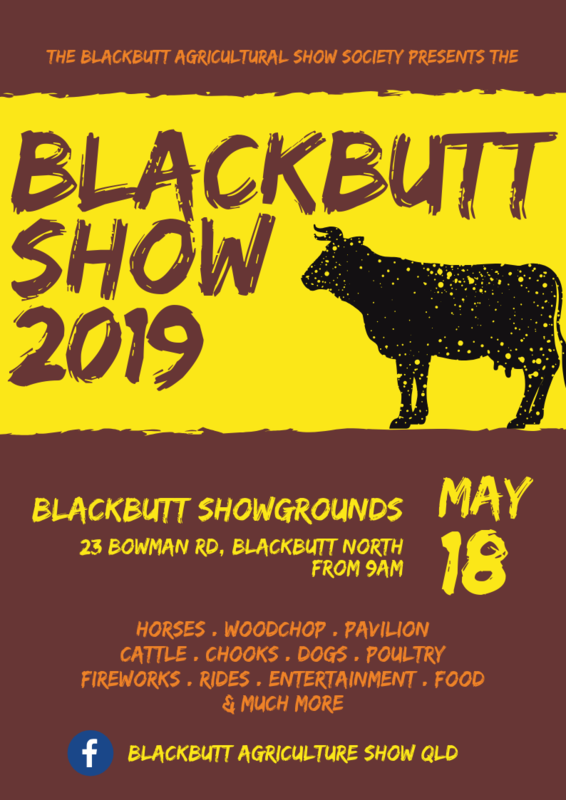 For more information or to get involved with the Blackbutt Show please contact us.